I am known as a fashion photographer. Though I equally love to shoot social campaigns. And a tiger in the jungle. My father gifted me an Olympus camera in my school days but it was only when I crossed 30 that I eventually thought of turning a professional photographer. I was in class 9th. One day, the biology teacher caught me scribbling a poem in the class while rest of the students attentively took notes on dissection of a frog. She demanded an explanation. I had none. I couldn’t have told her it was for that cute girl sitting across in the next row. She asked what my father did for a living. Upon learning he was an engineer, she frowned, screamed told me I would never become an engineer and asked me to leave the class. I sat outside and finished the poem. It took me five days to eventually give it to the girl, who read it quickly and threw it, riding away hastily on her bicycle. I thought the whole world saw that, n embarrassed I skipped school for next two days. Those two days, instead I took the small Olympus camera n sat by a lake on the outskirts of the city and shot some pictures. And wrote more poems. It felt great. The girl and me never exchanged a single word ever after that. She just gave me looks, which were a strange mix of love and hate, even when I flashed proudly the National prize I won in a Konica Photo Contest from the pictures I had shot at the lake. My mother felt so proud of me. That mattered more I guess. I lost the camera one day (it was stolen in the school picnic) and my father showed no interest in buying a new one. The only thing that mattered was my becoming an engineer –which to his disappointment I never did-dropping out of engineering college in second year. Sorry about that dad. The teacher was right after all! Though he eventually helped me with everything that I chose to do in my life as long as I finished further studies in subjects of my choice. Which I did. Over the years I kept changing my professions. 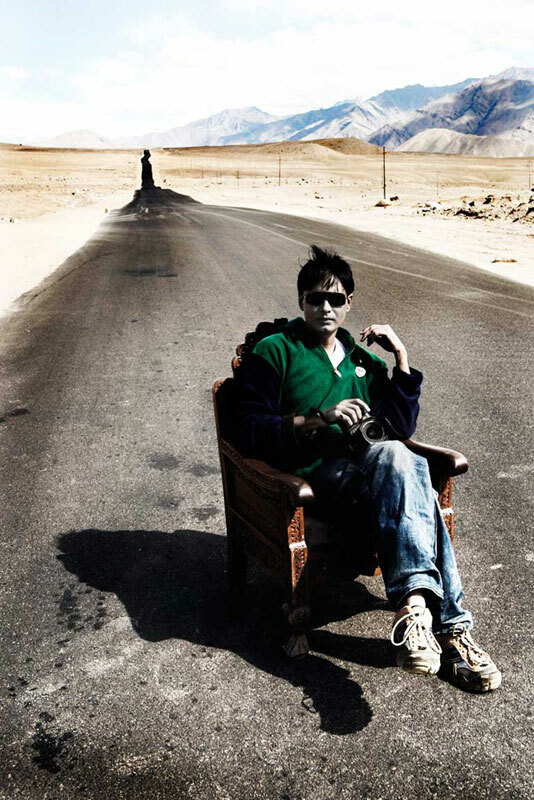 Starting as an event manager, promoting n executing more than 500 shows from rock-pop to cultural festivals; running a feature agency contributing articles on brands, bands n Bollywood; chasing exciting stories as a journalist and eventually settling down as a fulltime writer (fiction); shot raindrops to Tigers to Taj Mahal as a documentary film maker; produced remixed & original music albums; ran a brand promotion n film marketing company; directed short films (my best was for anti-corruption bureau that’s still shown in theatres). Of all the things I did, personally the most satisfying n challenging was running an NGO called Sanchetna that at one point became functional in almost whole of North India and is still considered as one of the most popular youth organizations ever to come out of Agra. But I still felt restless and kept on searching for more. I eventually returned to the first innocent love of my life. No…not that girl in the school…but the camera. I realized what had really made me happy was shooting those pictures by the lake. On an impulse I bought a Nikon D 70s n went on a trip to Bandhavgarh. Two weeks in the wild life sanctuary and it changed the way I looked at the world. Everything that I see has become a picture for me and the world is my studio. copyright © pravintalan.com 2015-2017. All rights reserved.